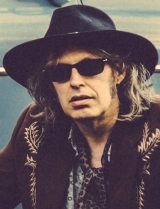 Mike Scott: A new blazing line-up of The Waterboys, with three fantastic American players from the Southern states – bassist David Hood of Muscle Shoals fame, yup, one of the legendary Swampers, keyboard player Paul Brown from Memphis, and Zach Ernst, lead guitarist from Austin. 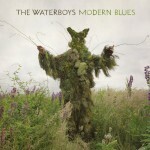 JM: What prompted you to record the new Waterboys album in Nashville, and what was that experience like? MS: I wanted to work in a large studio where the band could all play together with good eye contact, and with engineers who are schooled in recording whole ensembles. Nashville has both, plus a city-wide environment of musical creativity, which is going on all the time. That makes for a good recording and working atmosphere. And so it worked out -I dug making music in the same place as so many other artists, and the studio – Sound Emporium – worked out great. JM: What’s the story behind the song “I Can See Elvis”? MS: A friend was joking about going to heaven and knowing it was heaven because he could see Elvis. He even used the phrase “I Can See Elvis”, and I thought then it was a great title/idea/springboard for a song. JM: The name for the band The Waterboys came from the Lou Reed song “The Kids” from his brilliant album Berlin. How would you describe Lou’s influence on your musical journey? And did you ever meet him? 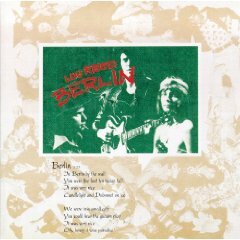 MS: Lou’s songwriting and singing influenced me, and like so many musicians of my generation who came through the punk era, I very much appreciated his songs being so easy to play yet still so full of intelligence, nuance and meaning. Yes I met him once, in a New York club in the early 90’s and he was terrific. 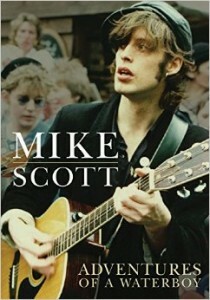 JM: What was the good, the bad, and the ugly about being a musician in the 1980’s? MS: Good? I was young, full of inspiration and power even if I didn’t always realise it. And labels would give me lots of money to record. Bad? Music held ransom by technology and the surrendering of so many cultural freedoms won by the 960’s generation. Ugly? The fashions, Ronald Reagan and Margaret Thatcher being Prez and Prime Minister. 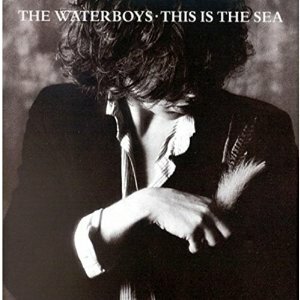 JM: It’s the 30th anniversary of the album This Is The Sea. What are your reflections on that album? MS: If you mean how do I consider it today, the answer is I love it, and still enjoy playing the songs from it. This Is The Sea is a fully realised record, the culmination of the creative energies that moved through me since I was a teenager. I had some good help, too. [Karl] Wallinger played great keyboards, Mick Glossop did some fabulous mixing and engineering, [Anthony] Thistlethwaite blew some killer sax, and at the last minute [Steve] Wickham turned up for “The Pan Within” and then my life changed. JM: Your memoirs came out a few years. Were there any surprises, about yourself or otherwise, that you realized as you were reflecting on your life while writing that book? MS: I suppose so: certain events revealed themselves as hinge moments, turning points. But I am used to reflecting on my life and my road and figuring out why such-and-such happened or what something meant, so there were no huge revelations. MS: Touring the rest of 2015 and after that something will happen but I don’t know what it is yet. I’m watching for signs. At some stage, perhaps next year, there will be an archive double CD of my pre-Waterboys recordings – teenage bands, early singles by my new wave group Another Pretty Face, etc. JM: Do you want to set the record straight on anything about your life or career?